We have reported on many families' stories of medical kidnappings here on MedicalKidnap.com. For every story we tell, there are probably 10 more we cannot get to. In almost all of these cases there is massive abuse of power exerted by medical doctors, CPS social workers, and family court judges. But this story from Homeschool Legal Defense Association (HSLDA) shows a new level of alleged corruption: CPS caseworkers and a family court judge actually withholding evidence from medical personnel that would have shown their seizure of a child was not justified. 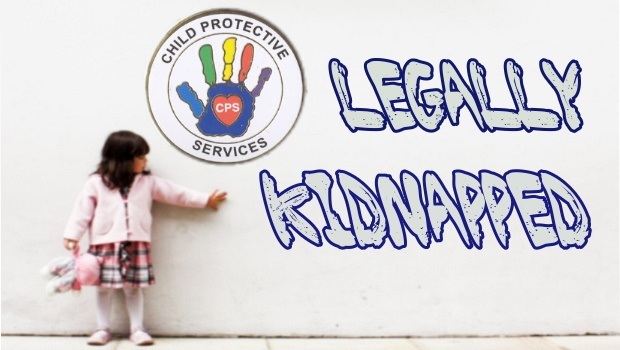 Instead, they allegedly relied on a non-medical professional, a CPS caseworker, to take children away from their family based on their own unprofessional medical opinions, ignoring doctor's advice to the contrary, and even allegedly suppressing that evidence in court. HSLDA attorneys are fighting back. I think a lot of these issues stem from the fear of community welfare people that they will MISS something and get accused of not doing their job - they have probably all been bitten before ! Plus an attitude towards home-schooling parents would not help - but any time they actually HIDE information that makes them culpable they should be PROSECUTED for that - these children are being put in jeopardy by these people, how do you make up to the children for the damage you have done to them - the state is the villain here ! Makes me shudder in horror- kids are so impressionable - they are damaging these children !